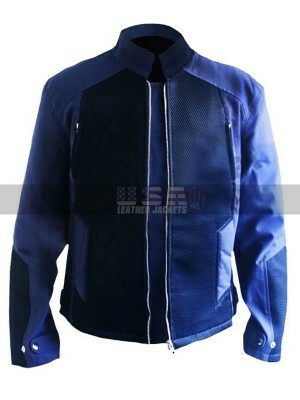 Augment your stylish personification to the height of the latest trend with this sensational blue cotton jacket taken from the famous thriller/science fiction movie Ant Man. The title character of Scott Lang aka Aka Ant Man was brilliantly played by .. 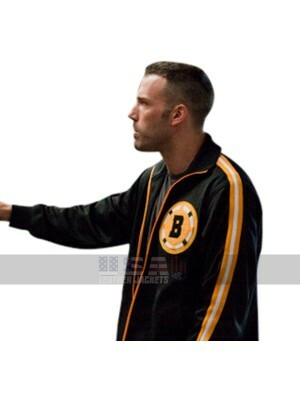 The Town Doug MacRay Ben Affleck Varsity Bomber Black Cotton Jacket Reinventing the classic sporty style this varsity bomber jacket brings a great contribution to a casual wardrobe. 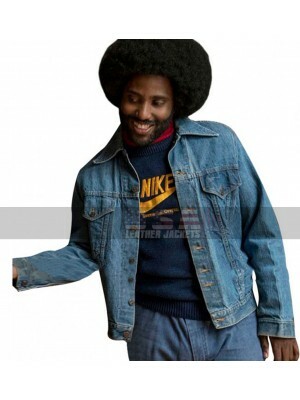 It reveals a youth driven style label inspired from the..
Ron Stallworth Blackkklansman Costumes John David Washington Blue Denim Jacket Taking influence from the classic, rebel, crime/drama movie BlacKkKlansman; the gorgeous denim piece works at the best of an effortless style. 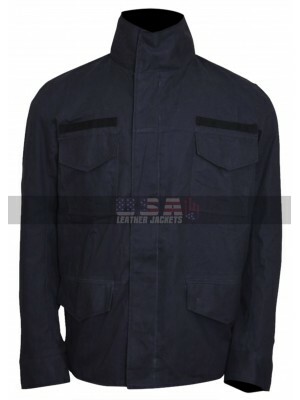 Nicely outfitted by..
Captain America Winter Soldier Steve Rogers Blue Denim Jacket This is a call, not just for Denim lovers but all the Captain America fans too, and just in case you are both, this is simply a treat for you. 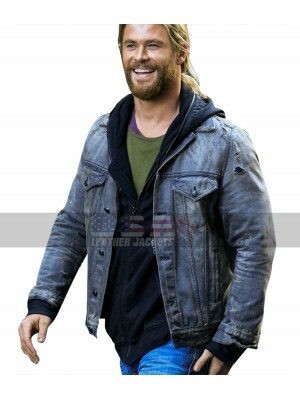 Get this premium quality denim jacket base..
Thor Ragnarok Chris Hemsworth Thor Denim Jacket Thor: Rangnarok was the science fiction film, which was released in 2017. The movie done well on the box office and loved by the audience. 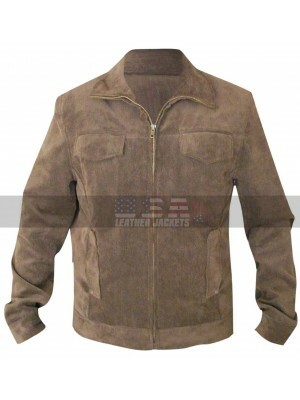 Chris Hemsworth has worn a denim jacket in the movie, which..
Don yourself into a sleek and sharp outlook wearing this luxuriously designed corduroy jacket. It is a wonderful fashion revelation from a well-loved, fantasy novel inspired movie ‘Harry Potter and the Deathly Hallows – Part 2’. It reveals the best c..
A loving-in, timeless outfit that can be worn over everything by pretty much everyone! 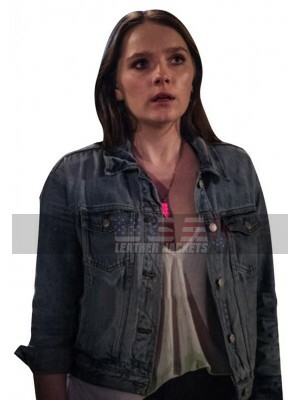 Hell Fest Amy Forsyth (Natalie) Blue Denim Jacket is a classic staple that no closet should live without. Taken from the slasher/horror movie of 2018 Hell Fes.. 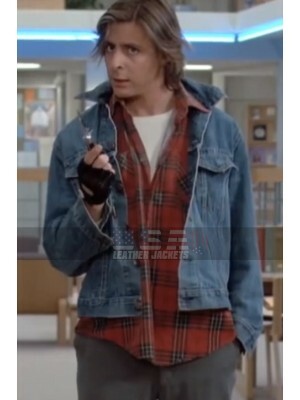 The character of John Bender is considered as a rebellious outcast in high school from the classic American comedy-drama film released in 1985 ‘’The Breakfast Club’’. 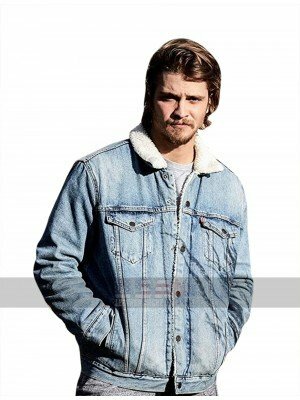 The way he looks in the movie to the way he interacts with everyone, he is showing ..
Luke Grimes Yellowstone Fur Collar Jacket When it comes to looking forward to some exciting pieces of attraction having hands on this beauty is something incredible, this Kayce Dutton Yellowstone Luke Grimes Fur Collar Blue Denim Jacket has been m..
Kingsman: The golden circle was the famous movie released in 2017. Agent Tequila was the famous character in this movie. 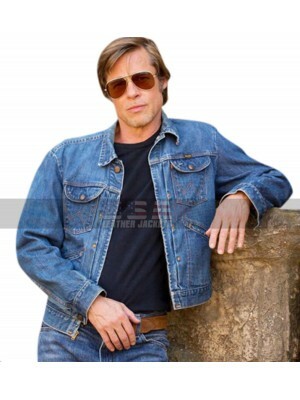 He wore a stylish denim jacket in the movie, which got the immediate attention of the viewers. Many young people were looking for.. Capture a heartwarming outerwear finished in a premium grade luxurious corduroy material. 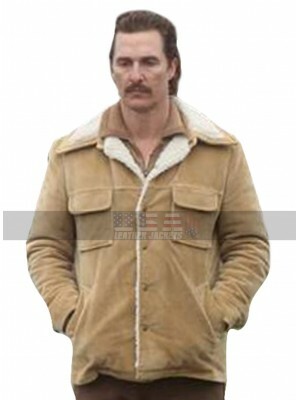 It has been inspired from the American biographical crime drama film “White Boy Rick” worn by the dashing American actor Matthew McConaughey as Richard Wershe S.. 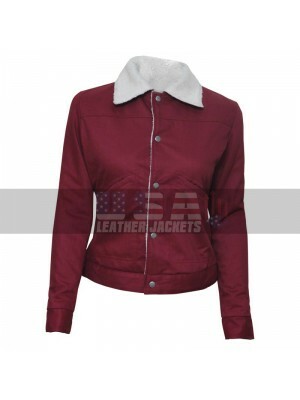 Perfect for lending ultimate warmth and a considerable style in the cooler months this classic maroon cotton jacket with a clean, contemporary finish is just the right outfit for the transitional months. 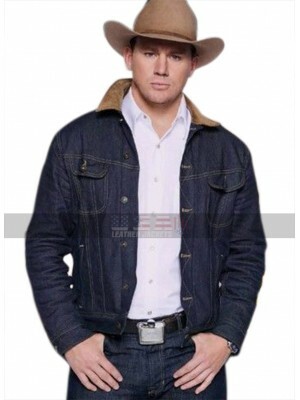 It is a wonderful inspiration from the gorgeou..
Well before its expected blockbuster release the most anticipated mystery/crime movie Once Upon A Time In Hollywood has been creating so much of hype in the fashion world with its astounding outfits. 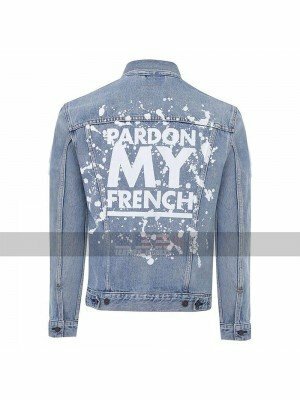 Here we have brought one from an Oscar award winne..
DJ Snake Pardon My French Denim Jacket Denim has been in the fashion for a long time these days and is a perfect choice to be catered for the young generation due to the style and layout of its features. 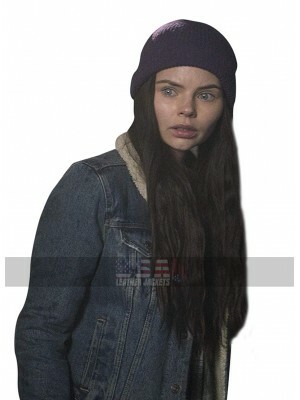 Even in the movies, celebrities are nowaday..